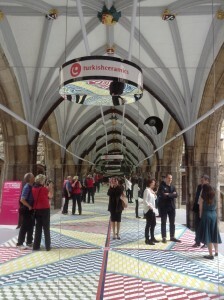 Turkish Ceramics in Clerkenwell Design Week with “Tile Mile” Project! Turkish Ceramics Promotion Group participated in Clerkenwell Design Week, the biggest independent design festival of the United Kingdom organized in England/London between 20-22 May 2014, promoting Turkish ceramics with its ‘Tile Mile’ project exhibited at St. John’s Gate. “Tile Mile” expressed by Russ+ Henshaw architectural office as a project reflecting today and future and representing “infinity” has been formed by bringing together the tiles supplied by various Turkish ceramic firms. 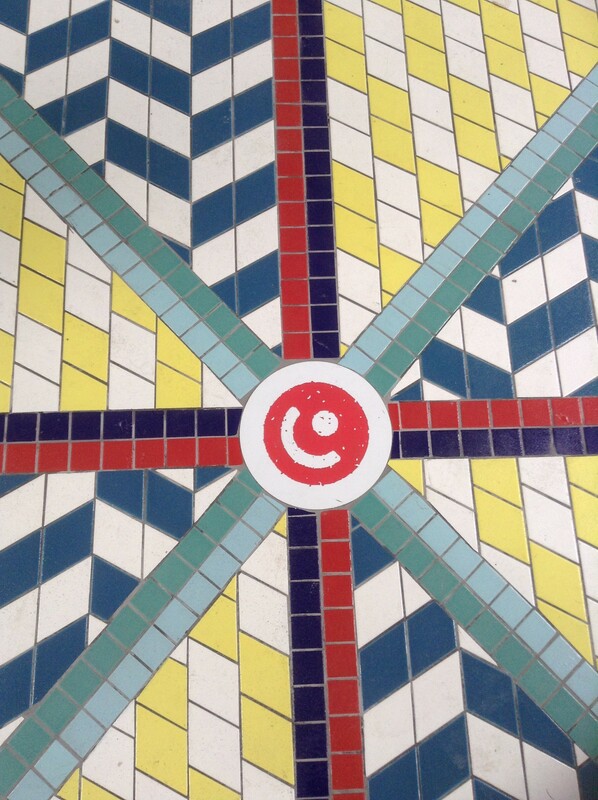 Created by taking inspiration from the original style of Turkish ceramics, ‘Tile Mile’ project incorporating a creative and authentic style has already been cited in many British design magazines and blogs as Clerkenwell’s outstanding project. Turkish Ceramics Promotion Group representing ‘Tile Mile’ project organized a special cocktail on 20 May in London/ St. John’s Order Museum to bring together the world’s leading designers and architects and Turkish ceramic firms. This entry was posted in Home on 2014/05/21 by admin. Wren was a professor of astronomy at Oxford who became an architect though his interest in physics and engineering. In the 1660s, he was commissioned to design the Sheldonian Theater at Oxford and visited Paris to study French and Italian baroque styles. 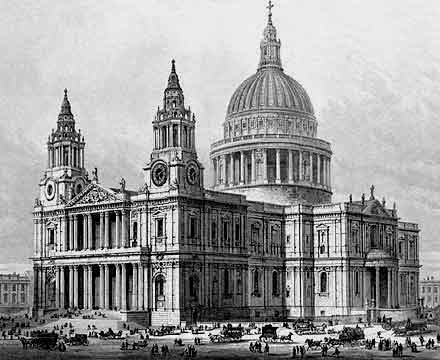 In 1666, Wren had completed a design for the St. Paul’s Cathedral dome. One week after it was completed, however, the Great Fire of London raged through the city, destroying most of it — including the cathedral. The Great Fire created an unexpected opportunity for Wren, and he was soon at work on reconstruction. Although plans for a sweeping reconstruction of the city soon proved too difficult, by 1669, he was appointed surveyor of royal works, which put him in charge of government building projects. Ultimately, he had his hand in designing 51 churches, as well as St. Paul’s Cathedral. This entry was posted in Home on 2014/05/04 by admin.